You may not have considered toners as an essential in the skin care regime back when you secretly wished for your acne to disappear. Toners being underrated and misunderstood have come a long way and have finally made a comeback for themselves. What truly is a skin toner? Skin oner is an in-between step of skin care regime, used before moisturizing but after thoroughly washing the face. They are water based but some newer ones have a lotion or a gel texture being a toner-serum hybrid. They were initially created to rebalance the skin after it has been washed with harsh cleansers and soaps. How a toner works is often a most frequently asked question. Toners begin with prepping the skin for serum and moisturizers while ridding the face of the excess dirt, makeup or oil left on the face even after it has been washed. They can be considered as a sort of an extra credit for the skin care routine as they do not replace washing of the face. But the newer reformulated toners in today’s’ time not only perform the basic role but also have been successful in providing additional benefits. They have been recreated to treat a number of problems ranging from dryness to acne and to aging. So a toner recommended for dry skin can help rehydrate the skin whilst the one being used for oily skin helps cut down excess oil production. So to answer your query of where to look for the perfect facial toner, Levea skin care introduces their Phyto Repair Hydrating Skin Toner. This amazing product checks out all your boxes for that perfect toner and is the key product to get that healthy glowing skin. With its advanced intense phyto repair nourishment and bearing the quality of an oil-free spray, it vouches to keep the skin protected and hydrated all day long. This nourishing toner is also packed with natural ingredients such as plant extracts. It is created with a rich supply of Vitamin C and B5. It consists of Hyaluronic Acid that acts as a humectant and makes up for the loss of water from the skin due to its water-binding property. This is a major ingredient promoting the function of skin rehydration. For the antioxidant benefits alongside anti-inflammatory and anti-bacterial benefits, it consists of Sage, Sea Kelp, Rosemary, Chamomile, Orange, Cucumber, Aloe and Allantoin. These ingredients being the phyto-active botanical extracts also heal, soothe and rejuvenate the skin treating wrinkles and fine lines. 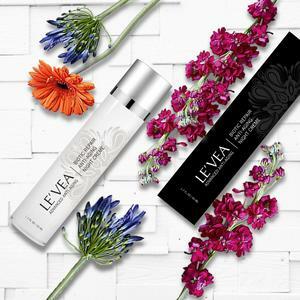 In short, Levea Phyto Repair Hydrating Skin Toner consists of all the essential ingredients necessary for the skin, especially for that rehydrated glow and freshness. It can be used any time of the day to boost skin hydration or act as a moisturizer for acne prone skin. It is a lot easier to use a skin toner than a jade roller and can be used right after washing the face and then applying the toner with a wet cotton pad. This product by levea with its benefits makes sure that your skin looks supple, plump and smooth. So what is the holdup? Hurry up and visit Levea skin care website to order this skincare essential to achieve that radiant glowing skin. A perfect Gift is never too late!